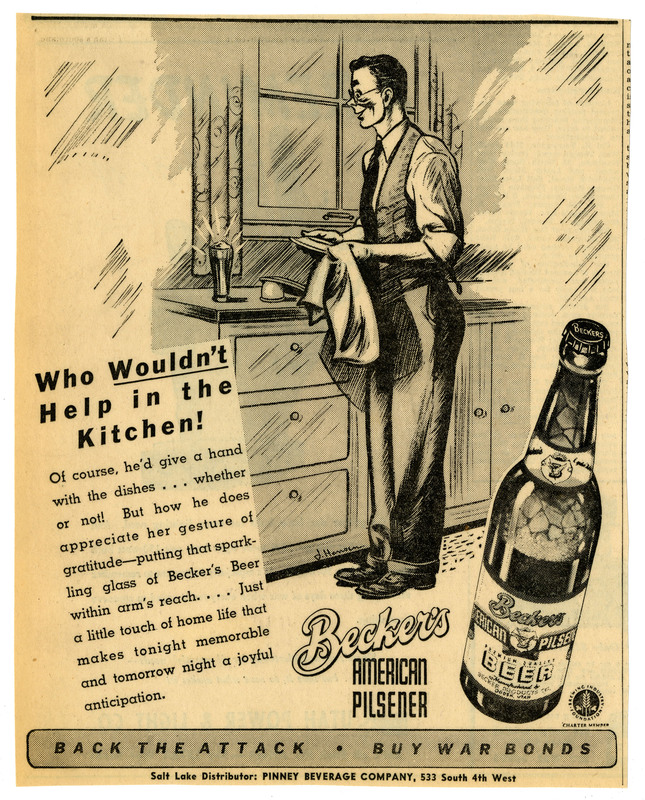 This advertisement for Becker's American Pilsner features an illustration of a man cleaning dishes in his kitchen with a glass of Becker's American Pilsner on the counter. The text of the advertisement describes Becker's Beer as being a good motivator to get a husband to clean the dishes. It also has the phrase, "back the attack, buy war bonds." Becker's Products Company;, “Advertisement for Becker's American Pilsner Beer (11 of 18), 1944,” USU Digital Exhibits, accessed April 24, 2019, http://exhibits.usu.edu/items/show/12793.